I'm excited to announce another stamp carving workshop I will be teaching in November with Handmaker's Factory! 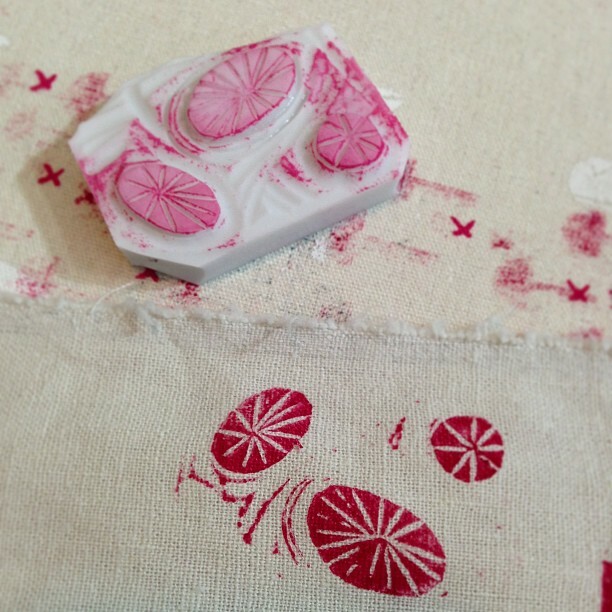 You can learn about the tools used to carve your own stamps, what inks and basecloths work best and then get to work carving your very own stamps to play with and take home (along with some fancy stamped fabric that you yourself will create during the workshop) - how fun does that sound?? You can find all the details and registration info right here, hope to see you there! Very excited to be coming along to this!